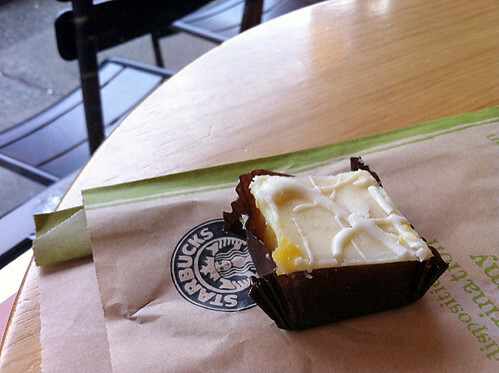 Last night I ate this baby lemon square at Starbucks. I think this is part of their new healthier treats series -- healthier because they are tiny and so contain fewer calories. Some tacos were also eaten at a new place on Davie Street, the name of which escapes me now. 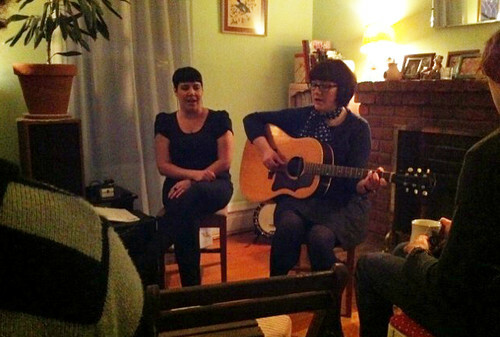 Also last night I saw Rose and Larissa sing together. It was very pretty. I'm going to Salt Spring Island in a few hours, and for a few days, so I doubt I'll be able to update this blog until Monday. But in the meantime, to keep you entertained, check it out: I added this neat widget at the end of each post that suggests other posts you might like. The morning I added this, I spent about two hours clicking around on past blog posts. What a variety of pizza posts! So many photos of leftovers! Amazing.